LCA’s Counselors offer individual and family therapy tailored to meet your needs. Our Bemidji office is conveniently located in Suite #1 at 1426 Bemidji Avenue, near the intersection of 15th Street and Bemidji Avenue (south of Erbert and Gerbert’s). Our location is wheelchair accessible, with plenty of off-street parking near our front door. Therapists at the Bemidji office serve the communities of Bemidji, Wilton, Solway, Cass Lake, Lake George, Blackduck and surrounding communities. 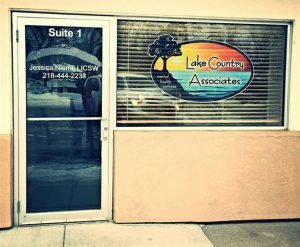 The LCA office in Bemidji may occasionally be closed during regular business hours. For more information or to schedule an appointment, call us at 218-444-2233.